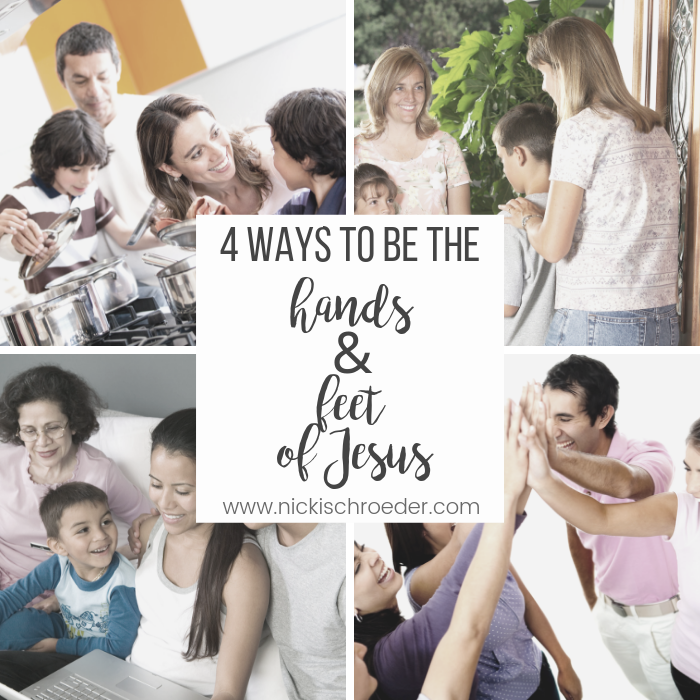 Have you ever wondered what it means to be the “hands and feet of Jesus?’ That term is tossed around Christian circles a lot and it is often followed by big acts of service that would put most of us to shame. But the cool news is that you don’t have to have a gazillion dollars to make an impact in God’s kingdom. You just need a willing heart ready to live out your faith and show up to love the big and little people in your life well. I love how one of my favorite quotes on prayer so eloquently shows us how to love others well and be God’s hands and feet. Prayer in action is powerfully done by serving others. It’s a blessing to see people serving and meeting needs in our community. Doesn’t it warm your heart to see children stepping up to encourage a sibling or friend in their time of need? And how fun is it to receive a random act of kindness on a day when God knew we needed it most? We can share the love of Jesus in so many practical ways. Have you ever heard the story about the little girl who was on the way home from a play date and stopped to help a friend whose bike broke down? When the little girl got home, her mom was upset and demanded an explanation. The girl told her mom that she stopped to help a friend whose bike was broken. The mom raised her voice and reminded the little girl that she knows absolutely nothing about fixing bikes! The little girl replied that she stopped to give her friend a hug because she was sad about her broken bike. Mom stood there in silence. Seriously, how powerful is that? How often do we jump to offer advice or words of comfort to people in our life who are hurting or having a hard day? I do it too frequently! You probably do too. And has that backfired in ways you could never imagine? Too often our quick words can pour salt on an already open wound or be misinterpreted. A kind deed never goes unnoticed! OK, that’s technically not true. I do kind deeds and they often go unnoticed, you prolly do too. My point is that loving others through actions can be a tremendous blessing to someone in need. What a present the gift of presence is when we serve others! Bigger is better logic doesn’t always apply here. We can simply offer a hug, a listening ear, a clean house or warm meal. Or sometimes the best gift is to simply be the warm body on the couch with a cup of coffee in hand, letting someone know they aren’t alone. There is no better example of love in action than Jesus’ death on the Cross. The Bible contains beautiful truths and practical knowledge for daily living. But without the sacrificial love of the Cross, the rest of it doesn’t really matter. I miss a ton of opportunities every week to spread a little of Christ’s love to others. Too often I choose the comfort of my own schedule over the chance to show practical love to others. Go outside your comfort zone and put faith into action this week by loving on someone in need. When is the last time you wrote a note to your spouse and kiddos letting them know how much you appreciate them? It’s amazing how this small, simple act can make someone feel cherished and loved. Tuck a note into your kid’s lunchbox, or under their pillow. Stick a note of encouragement in your husband’s shoe, coat pocket or briefcase. Tuck a note into your teen daughter’s makeup case or put a word of affirmation on her bathroom mirror. Tuck a post-it note with a “way to go” and a little candy bar in your kid’s lunchbox or a spouse’s briefcase. Bring a cup of coffee to a coworker who needs a little pick me up. Send flowers to your bestie, or buy a couple bottles of nail polish and a lipstick for a friend who just went through a bad breakup. Take a cupcake to a friend you’ve been meaning to grab coffee with for weeks now. Visibly remind someone in your life today of how much you appreciate them. Take time together as a family to serve a neighbor or friend in need. Offer to do yard work or prepare a meal. As you cook together, pray over the food, deliver it together as a family and talk about the importance that small acts of service can make in someone’s life. Have your kids create dinner place mats with Scripture verses or ask them to choose their favorite Christian music to burn onto a CD to enjoy while eating dinner. Be creative! 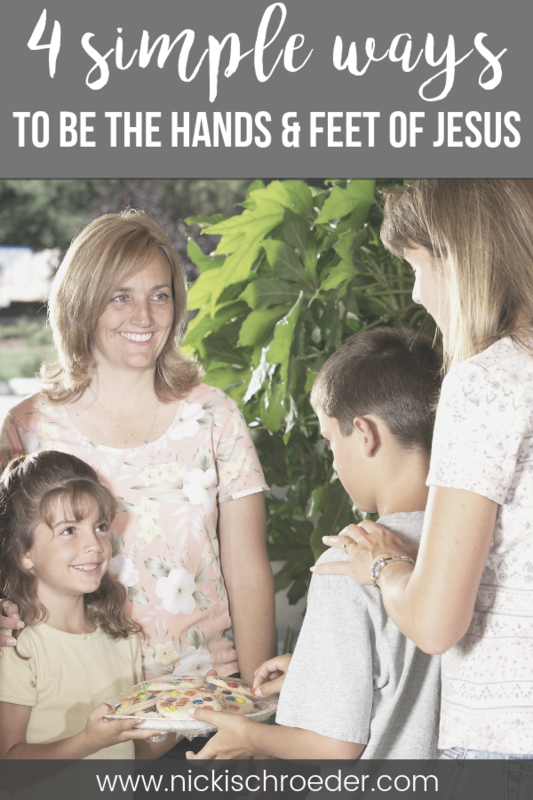 What will you do to be the hands and feet of Jesus? Take time to serve the big and little people in your life this week! NIcki … LOVE LOVE LOVE this! It doesn’t take much to minister to the deepest part of another’s soul. And often it doesn’t even involve words. I love this post, Nicki. Quality definitely weighs more over quantity for sure. These 4 ways are amazing and shows love in action. I love the simplicity of this challenge. I’ve been convicted of using prayer as an excuse for inaction. Praying for others is good and we should absolutely do it! But when we excuse ourselves from serving them in other practical ways because of proud prayerfulness, we’re missing the mark. Hard truth. Loving well is usually uncomfortable and often inconvenient. Great suggestions, Nicki. Sometimes it’s easy to make serving others look like this big production. It’s often right there, in the the little things. Happy Easter, friend. I loved this post so much Nicki! I often think of people who seem rude or unpleasant and I remind myself that they may be going through something I know nothing about. It is so important that we show them the love of Jesus and be his hands and feet and try to do what we can to help others…even when the world would think they don’t deserve it. Jesus was about reaching out to those people. We should be as well. Even if it is a word of encouragement, as you said! I love the reminder of the fact that the things we do to help encourage someone do not have to be some type of elaborate gift or huge action. 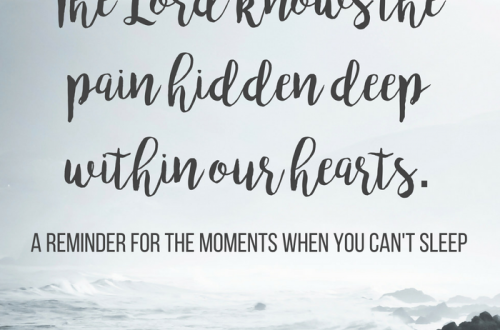 That a small note for one of my children or husband is being the hands and feet of Jesus, this encourages my heart to think on how even when I may not feel I am doing much that it can still be doing MUCH in the area of encouraging a heart. For someone like me that at times has to be home for days at a time this helped to remind me that it is just as important doing these small acts of kindness to be serving Jesus in serving my household in the ways I can. So many great ideas, Nicki. In our busy days, sometimes I think the hardest quality to give is our time. Taking time to listen, especially before giving advice. Taking time to help someone. Taking time to sit with someone in pain. Taking time to do for someone. I know I need to get better in this area. Love this post! 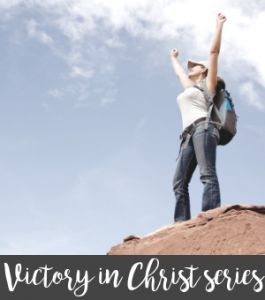 Glorifying Jesus with our daily lives is THE mission. 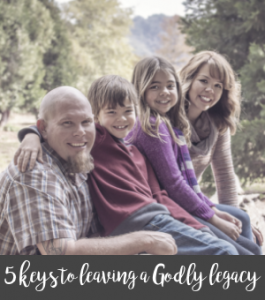 Lots of little ways to honor Him and be His hands and feet where we are. It really is this simple, isn’t it? 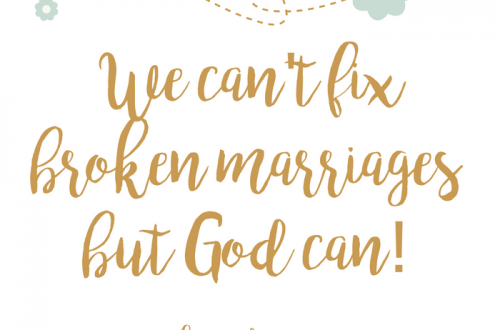 We tend to make things so complicated, but God doesn’t. Love well and serve. Thanks for your great post, Nicki! 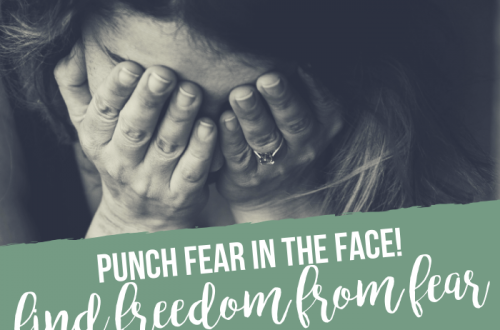 I have chosen it as my feature for this week’s Grace & Truth! 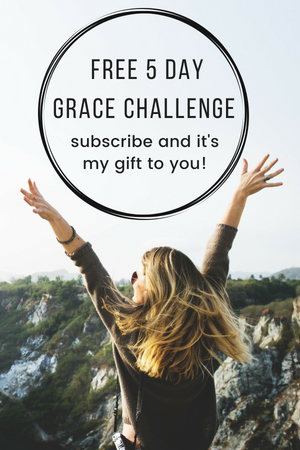 Do you have a link back to one of the Grace & Truth hostesses?? Feel free to grab the “I Was Featured” button when the post goes live tomorrow!! Thanks for linking up so faithfully!